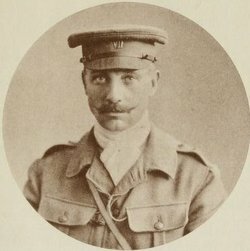 Lieutenant Colonel William Edward Thomas Bolitho DSO (commanding 1st Devon Yeomanry) dies of illness on service at age 56. He is the JP for Cornwall, played cricket for Cornwall the MCC and the Harrow Wanderers. During the South Africa War he was wounded and taken prisoner and his son was killed in May 1915. Commander Herbert Du Cane Luard (Coast Guard, Royal Navy) dies at home at age 49. He is the son of Admiral ‘Sir’ William Garnham and Lady Luard. Captain Arthur Meurig Pryce (Royal Army Medical Corps) dies on service at age 42. He is the brother of the Reverend Lewis Pryce of the Vicarage Colwyn Baay North Wales. Corporal Edward Manning Oldring (Army Pay Corps) dies at home at age 27. His brother was killed in October 1915. Sapper John Cash (Royal Engineers) dies on service at ge 33. His brother died on service four days before the Armistice was signed.